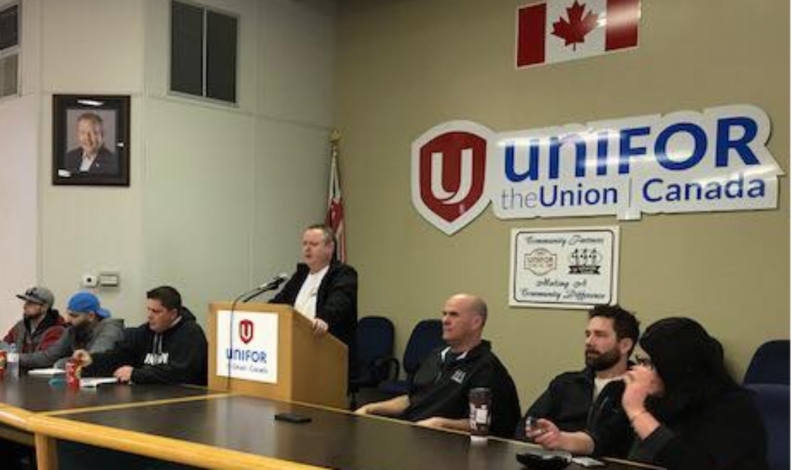 Employees at four FCA suppliers in Windsor, Ont., have voted in favour of strike action if their union and management can’t come to terms on a new deal, potentially affecting production of the Chrysler Pacifica and Dodge Caravan. Nearly 100 per cent of all Unifor members who voted Sunday at HBPO, Dakkota Integrated Systems, Avancez and ZF voted in favour of a strike. The union estimates that about 75 per cent of the roughly 1,000 total employees at the four plants cast ballots. Contracts at all four plants expire March 4, and workers could walk out at that time. Each plant supplies FCA’s Windsor Assembly Plant, the sole assembly plant for the automaker’s flagship minivan. The suppliers make anything from instrument panel cockpits to powertrains. A strike that lasts beyond a few days at any of the feeder plants could potentially affect 30,000 others working in the auto industry, including 5,000 at FCA’s Windsor. “In order to move the needle forward, our membership recognized the importance of coming out [Sunday] — even under horrible weather conditions — to send a strong unified message to the employers that it is time to bargain a good and fair contract,” Local 444 President James Stewart wrote in a Facebook post addressed to his members. Wages, benefits and pensions are the biggest issues heading into bargaining. Members’ demands could be high during negotiations. Stewart previously told the Windsor Star that said unionized workers — not just in the auto industry — are expect bigger raises in their next contracts to keep pace with the minimum wage increase non-unionized workers in Ontario got Jan. 1. That’s when the province raised minimum wage to $14 per hour, up from $11.40 — a 23 per cent increase.